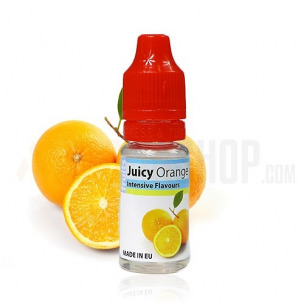 Juicy Orange 10ml.Fresh, squeezy & juicy Orange fruit. Powerfull smell of sweet Orange stands out. Perfect with other sesional fruits. Dosage: 7-10%. Bottle 10ml made from PET material, childproof cap, long, thin dropper. Produced in EU.